It is Halloween Day! Are you ready for some surprising gifts? Then Play Trick or Treat ! 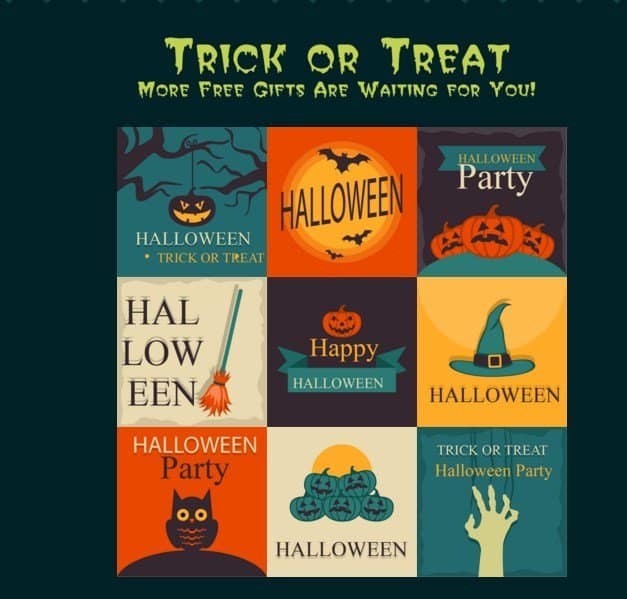 WonderFox Soft Inc. is giving away free gifts on this Halloween. Earlier we had a partner giveaway with WonderFox and it was a huge success, now we’ve prepared for something big for this Halloween. Not one or 2, a total of 4 full version products are available for free on this Halloween. The giveaway campaign was already started few days back, and it will run up to Nov 8th. Firstly there are two segments in the giveaway. Once if you visit the Halloween page of videoconverterfactory, they will welcome with a tag line ” Enjoy Fear & Horror with WonderFox”. After scrolling a bit, you can find two software which are ready to be downloaded. 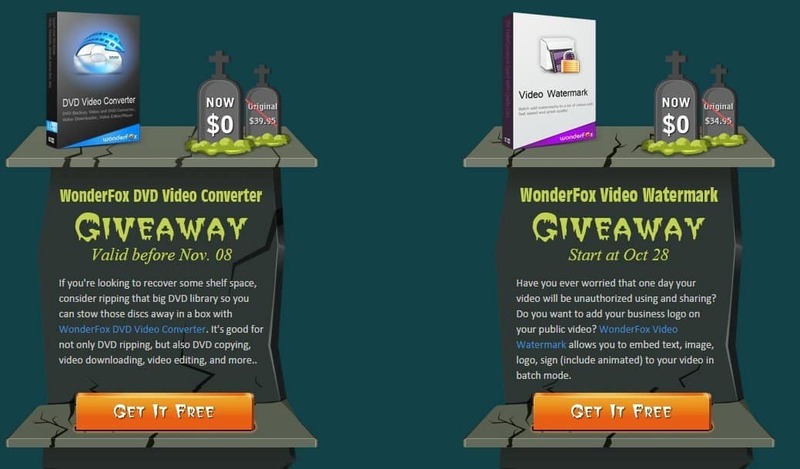 You can get WonderFox DVD Video Converter & WonderFox Video Watermark absolutely free. They are full versions as it is an official giveaway. Now the real horror game starts :p There’s a small Trick or Treat game in the page. It will allow you to win 2 more software products from WonderFox. You just need to hover your mouse over the boxes and see if you won or not. In this game, you can win “Free HD Video Converter” & a “Free DVD Ripper“. You can download both software if you won.